As hard as it is to believe it, 2018 is coming to a close soon. The year has gone by so fast, hasn’t it? As bittersweet as it is to look back on the year that’s ending, there is something so electrifying about the new year. The turn of a new year brings such a fresh energy that is hard to find during the rest of the year. After all, what’s better than staying inside during these winter months with a hot cup of tea or coffee and casting your mind towards new goals and dreams? 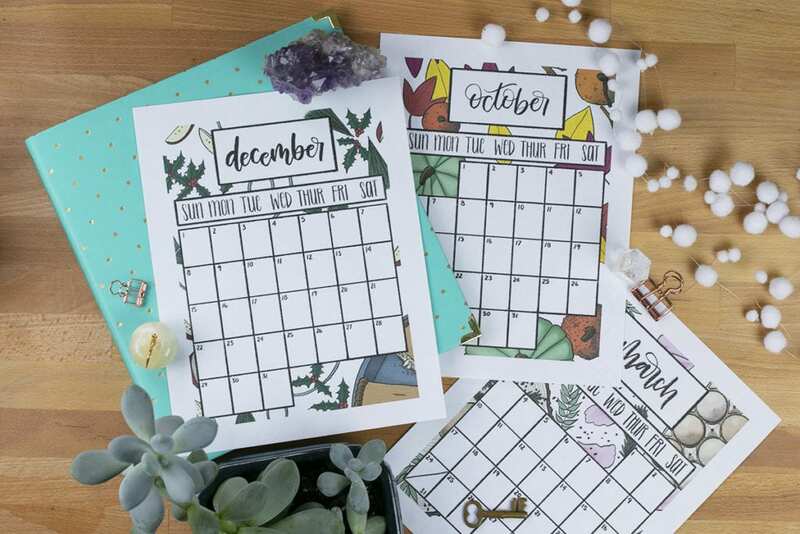 I love this time of year, which is why I am thrilled to announce the launch of my 2019 New Year Printable Planner! Over a month of hard work has been dedicated to creating this whole planner by hand. I drew every page, lettered every word, and chose each color with care. This printable planner pairs beautiful hand-drawn art with fabulous functionality. And you know what? I am so jazzed to finally be able to share it with you! This expansive New Year Printable Planner contains over 80 pages of hand made lettering and art. There are several different things that I made sure to include in this planner after years of tweaking my own planning system. I added all the elements that have helped me the most over the years and made sure there was plenty of flexibility so you can add the pages and spreads that are most effective to you! At the heart of this planner, you will find the monthlies. Each month contains one calendar page with unique, intricately drawn art. These pages were the most fun and by far the most difficult pages to create in the whole planner. But they were so worth it. Alongside each calendar page, there is a set of three trackers and logs: the ever powerful habit tracker, a memories log, and a gratitude log. Each of these three trackers helped me tremendously over the past three years. I wanted to make sure they were right there for you, too. These trackers are themed to the color scheme of their corresponding month, so every set of monthly pages feels like an aesthetically pleasing unit. Once you get past monthly planning, you gotta have something for the nitty gritty of day-to-day planning! That’s where the weeklies come in. I created two different layouts for weeklies so you can select which one you like the best. One weekly layout is condensed onto a single page and the other layout spans across two pages. 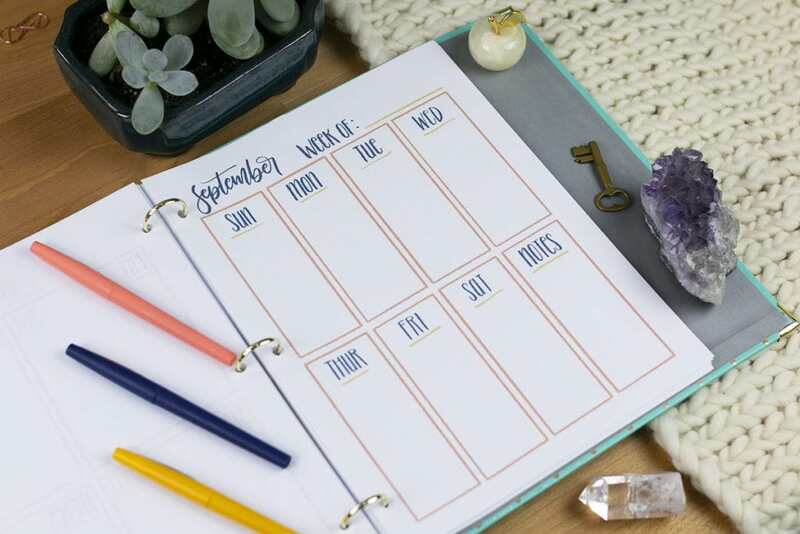 So whether you enjoy having plenty of space to write out all of your tasks or you like the ability to see your week in a glance, this 2019 New Year Printable Planner has the layout for you! Get your 2019 Printable Planner today! The energy of the new year is valuable for looking at your big life goals, so harness that power with these worksheets! 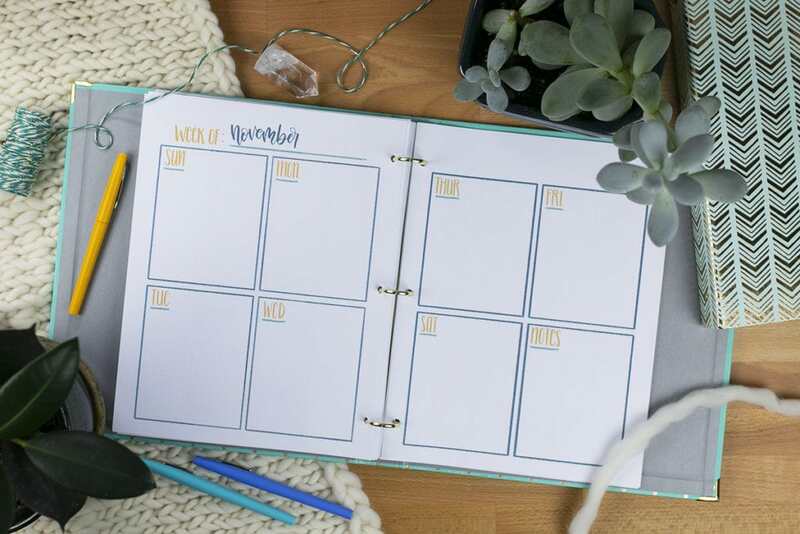 In this planner, you will get three powerful pages (including my massively popular Master Plan) to help you assess this past year, set goals, and make a plan to attack those goals. It’s not enough to just want to make positive changes in 2019 — you have to make a plan, too. Of course, what would a planner be without some structure? 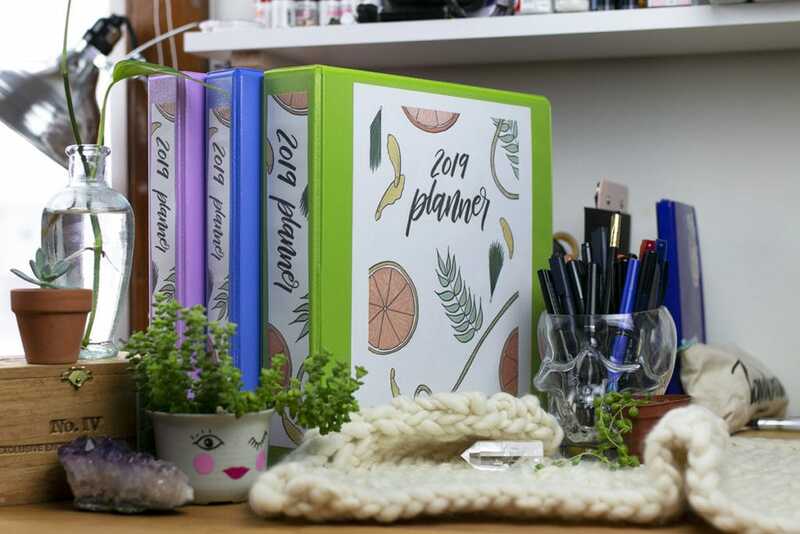 The 2019 New Year Printable Planner comes with a few essential pages to help you keep your planner organized. You will get four different styles of indexes so you can make sure your pages are easy to find. You will also get a page with thumbnail calendars so you can easily see your whole year in a glance, which I find helpful when setting up appointments and planning my travels. 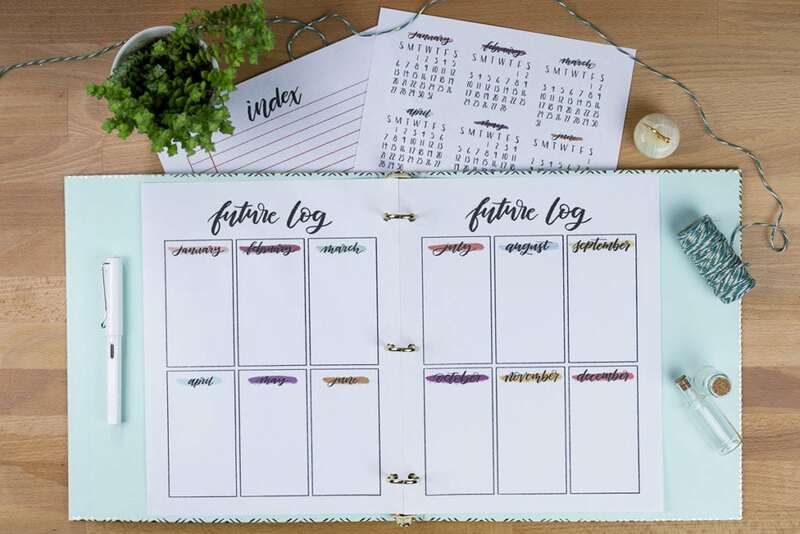 On top of those, you will also find a handy future log to jot down any important tidbits that you need months down the road. 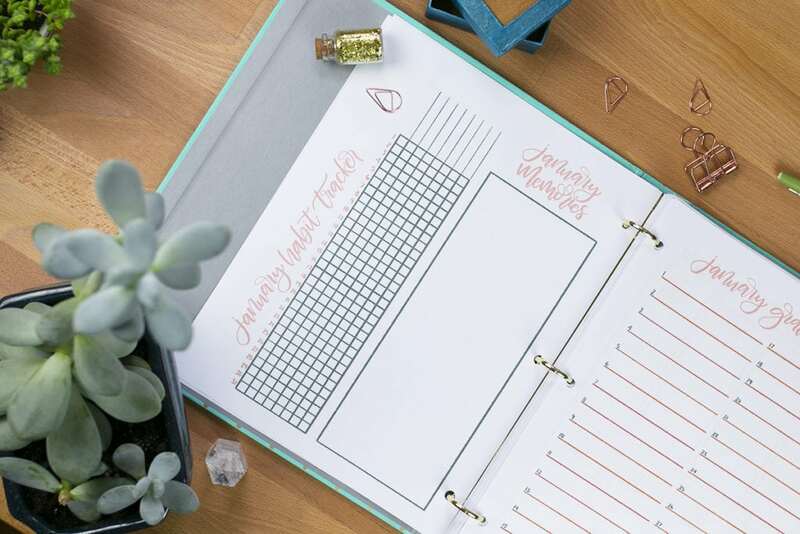 Use all of these together and you will keep everything running smoothly in your planner! I spent so much time designing the inside of the planner that I knew I had to design a gorgeous exterior, too! That’s why I created the cover page. Use this page either as the first page in your journal, or slipped into the front of your planner’s binder. Additionally, I created some lovely spine designs to go along with the cover. That way if you do decide to use a binder, you can use one of the three sizes of spine designs to make sure your binder looks fabulous. 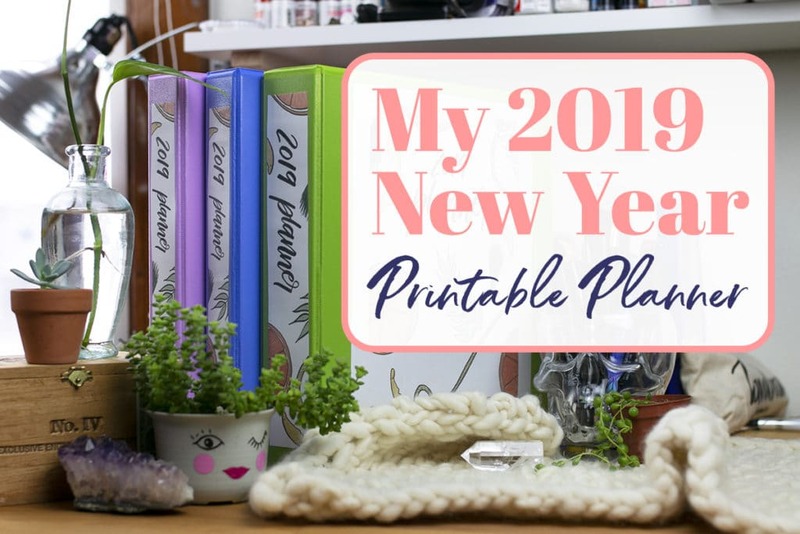 Not sure if the 2019 New Year Printable Planner is right for you? I got you covered! Try a few sample pages from January to help you dip your toes and see how it fits. The sample pages have been converted to black and white, but they still provide a ton of function and charm. You will find the pages in my Fox Den Resource Library, so all you need to do is sign up or sign in with the password provided in your first Fox Den email. 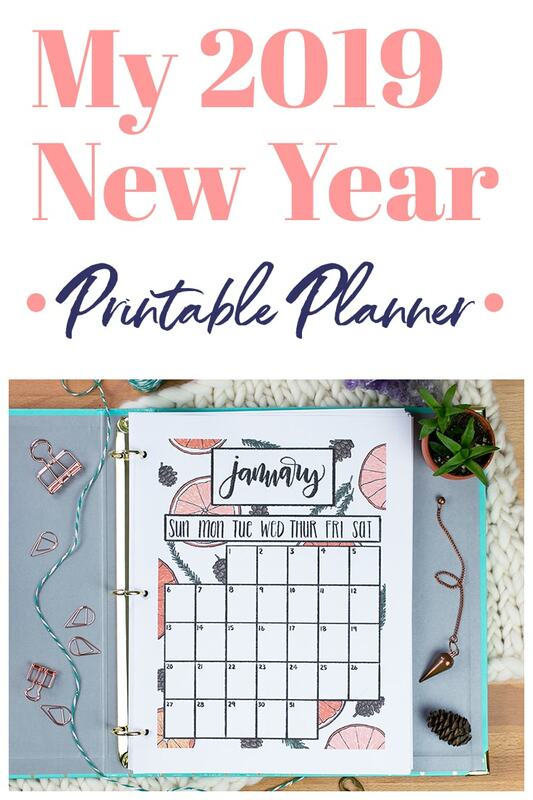 Head here to get your January sample pages from the planner! The new year is coming whether you’re ready or not, so why no be ready in style? 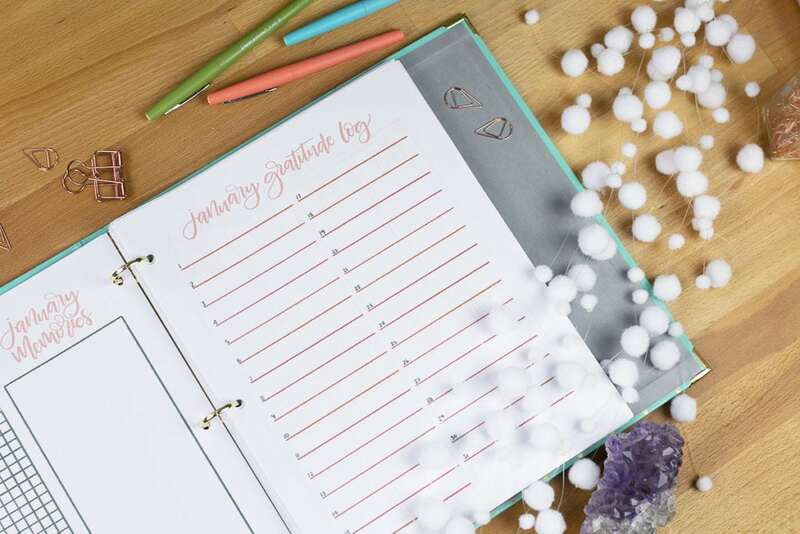 Grab the 2019 New Year Printable Planner to get ahead of the curve and get a jump on your goals! 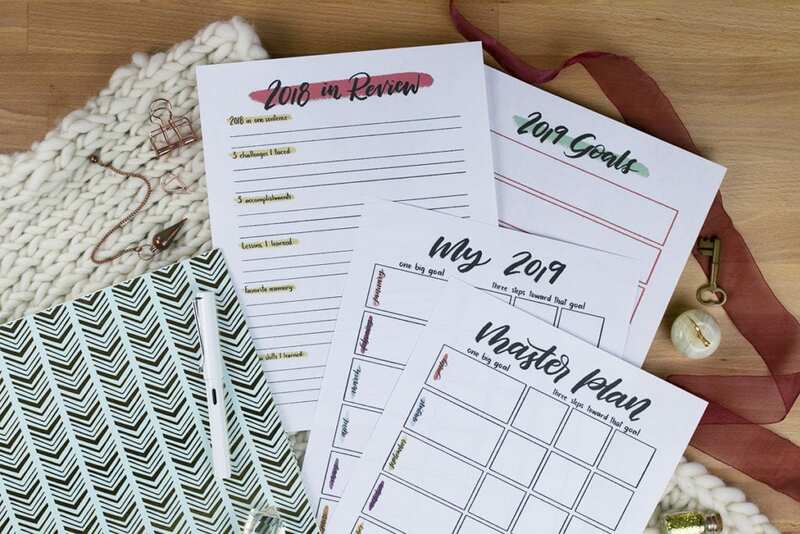 Click here to grab your 2019 New Year Printable Planner now!